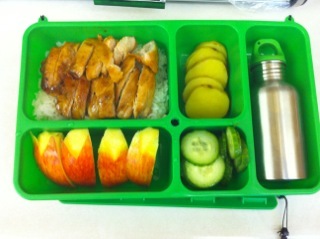 SCHOOL LUNCHES AND BENTO BOXES – WHAT IS A MOTHER TO DO? 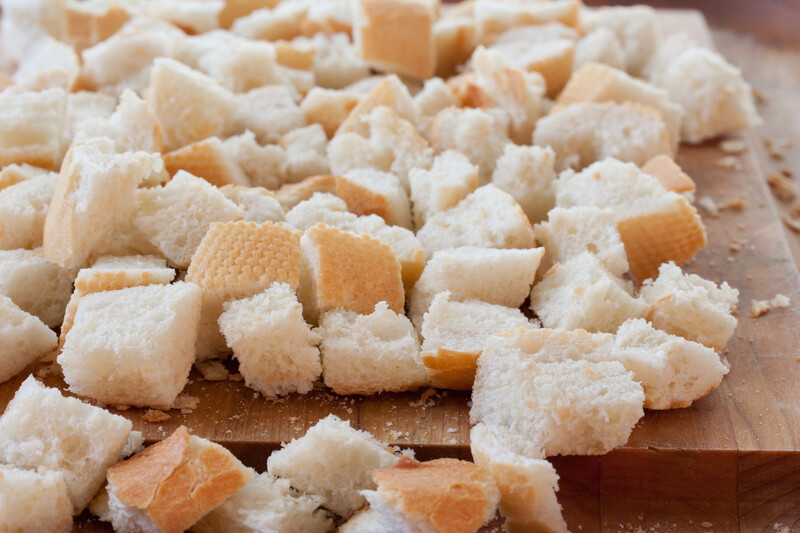 When I was growing up, my mother would make a peanut butter and jelly sandwich and put it in a brown paper sack along with some carrot sticks, an apple or orange, and some home-made cookies. When we moved to the suburbs the school had a lunch program. For twenty-five cents children could get a hot meal served in a war surplus Army metal divided tray. For a quarter you got a main dish like spaghetti, a salad, hot bread, fruit, dessert, and a little glass bottle of milk. 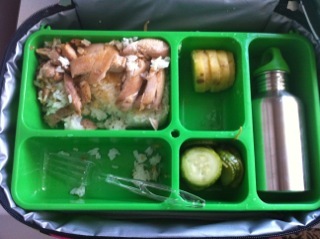 All the kids loved lunch and lunchtime because the food was good, and it was a break from the classroom. Nobody threw anything away. The reason it was so cheap was that the meal was mostly made from “commodities” which the government had purchased from the farm subsidy program. 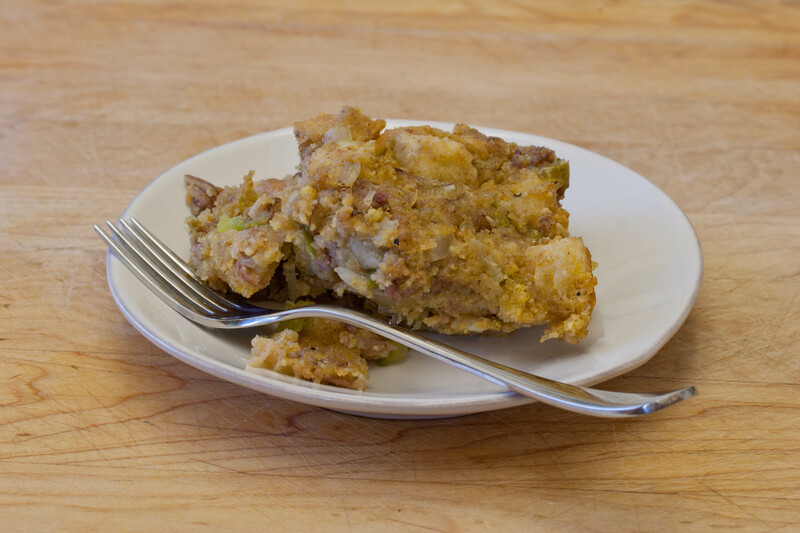 Cheese, meat, chickens, eggs, butter, and produce were all part of the program, so it was possible to make a tasty meal from high quality ingredients. The other reason the lunches were so popular was that they were made by the “lunch ladies” who usually were mothers of some of the school children. Their kids were often your friends, and the cooks knew everyone’s name. In those days, nobody would dream of wasting food, especially in front of a mother who might tell your mother. Besides, the ladies would often make special treats like home-made potato chips to go with juicy hamburgers and all the trimmings. My mom became one of those lunch ladies, and for many years she cooked meals which the children loved. 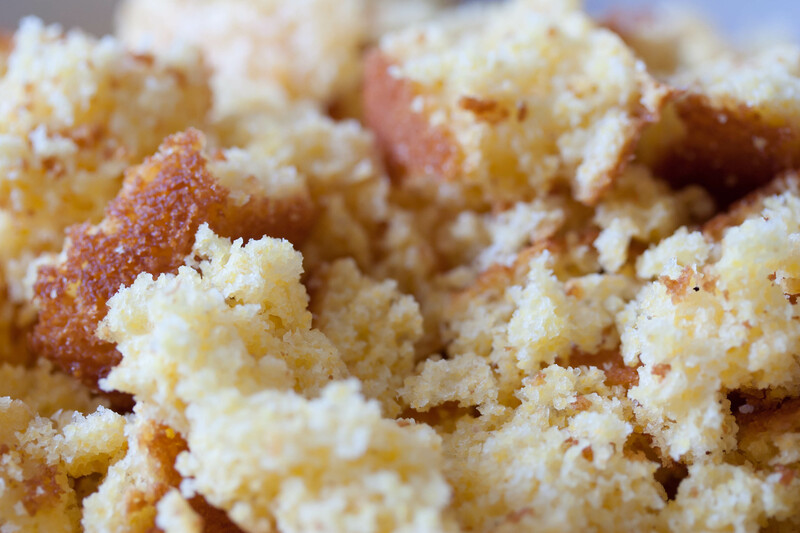 Her fresh, hot rolls were famous as were her pumpkin pie and chocolate sheet cake. She loved “her children” and they loved her. Then something happened. The commodity program shrunk dramatically. School boards across the country decided that they needed to cut payrolls and that they could provide lunches cheaper by contracting with big restaurant firms. The home-made lunches disappeared, and in their place came frozen TV-dinner-like meals that got heated up in the microwave. It was about the same time that a garbage barrel got placed at the end of cafeteria line where kids could dump their uneaten tray and head for the vending machines filled with soft drinks, corn snacks, and candy bars. It was about that time, too, when the decision was made to count ketchup as a vegetable to make sure of the “nutritional value” of the meal, and when childhood obesity began to inch up. Now some schools have contracted with caterers who have the child choose from a menu of items that are popular with kids. 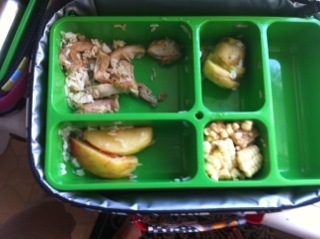 The food is apparently better, but it is still not the solution to having the kids eat a healthy lunch. In frustration, my daughter Carol decided to do something about it. Peanut butter sandwiches are often no longer allowed. Although she is not really concerned about some of the other food restrictions which have multiplied seemingly geometrically in the last few years – mercury content of tunafish, dairy products in drinks, estrogens in soy products, gluten in bread – and on and on – she wanted to make a lunch her kids would eat, and so she turned to bento boxes. She picked up a copy of “The Just Bento Cookbook” by Makiko Itoh (one of this year’s top ten cookbooks on the Amazon list) and bought some bento boxes. Then she prepared this menu from the book: chicken kijiyaki, pan-steamed sweet potato, cucumber and turnip salad with lime, rice, and apple bunnies. Being the good cook that she is, Carol made a point of seasoning the food to kid tastes and arranging it beautifully in the boxes. Alas, with all that effort, she felt let down when her kids returned from school with their bento boxes in tow. Now, it’s on to another ploy to get her kids to eat a healthy lunch at school. Pierce the skin of the chicken with a sharp fork and place it skin-side down on a hot non-stick skillet. Saute until the skin is crisp, turn over and saute the other side until done. Remove the chicken from the pan, clean the skillet with a paper towel and return the skillet to the heat. Add the mirin, soy sauce, and sugar, stirring until the sugar is melted and the sauce is hot. Return the chicken, turning it to coat it with the sauce. 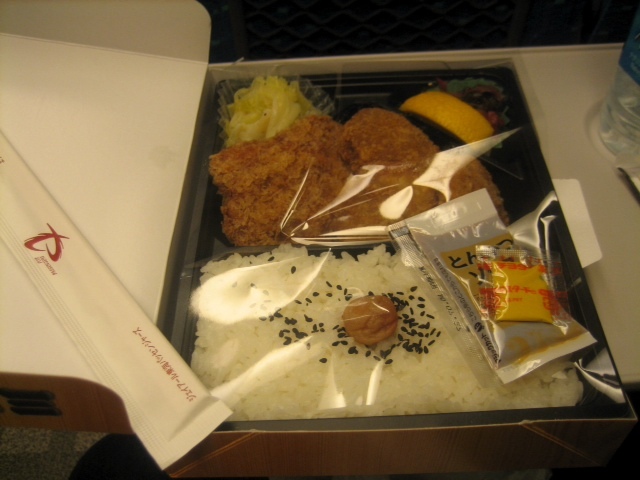 Remove the chicken from the pan, let it cool, slice it, and arrange it in the bento box. Arrange the sweet potato slices in a single layer in a sauce pan. Add enough water to half cover the slices. Sprinkle with salt. Bring to the boil. Then cover and reduce the heat to low. Cook for about 10 minutes or until the sweet potato slices are tender. Turn once about half way through the cooking. Drain the water from the sauce pan, drizzle honey over the slices. Then let them cool completely before packing them in the bento box. Cut the cucumber in half lengthwise and slice very thin half-moons. COMPETITION CHILI OR WHAT IS TERLINGUA REALLY LIKE? 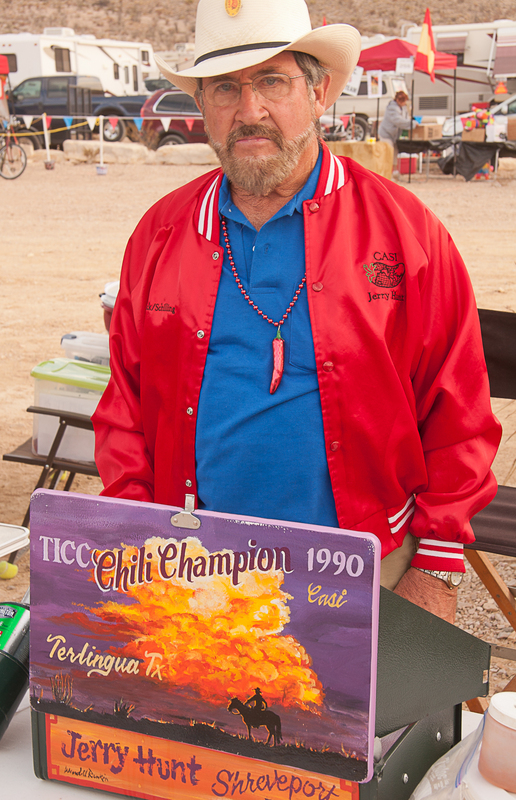 I just returned from a week at Big Bend National Park and the Terlingua International Chili Championship. 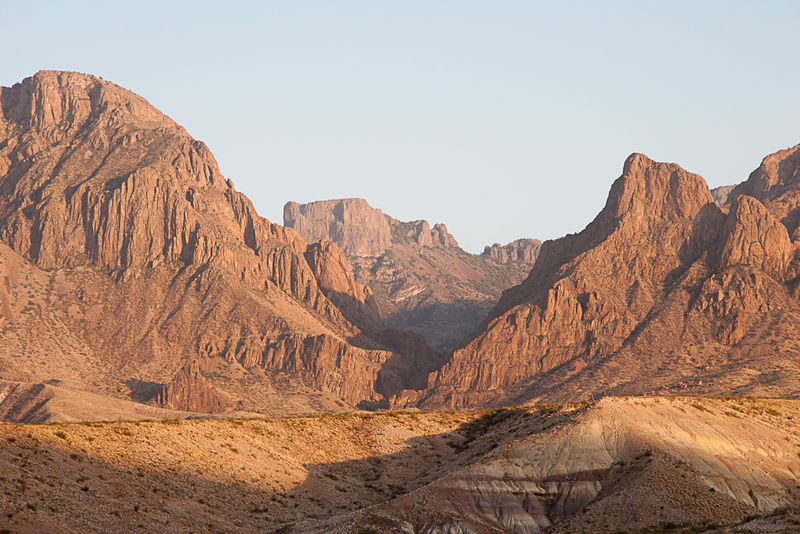 The Big Bend of Texas is a magical place. It is a vast desert dotted with amazing island mountain ranges. The Basin in the center of the Chisos Mountains is filled with alpine conifers and is also home to black bears, peccaries ( also know as javelinas), and mountain lions. There are many oases out in the desert with cottonwoods turning golden this time of year. The Rio Grande carves deep canyons as it makes its eponymous big bend. In the spring, especially after a rainy winter, a huge diversity of wildflowers turn the harsh landscape into an unparalled garden. For many, all of this natural beauty is secondary. 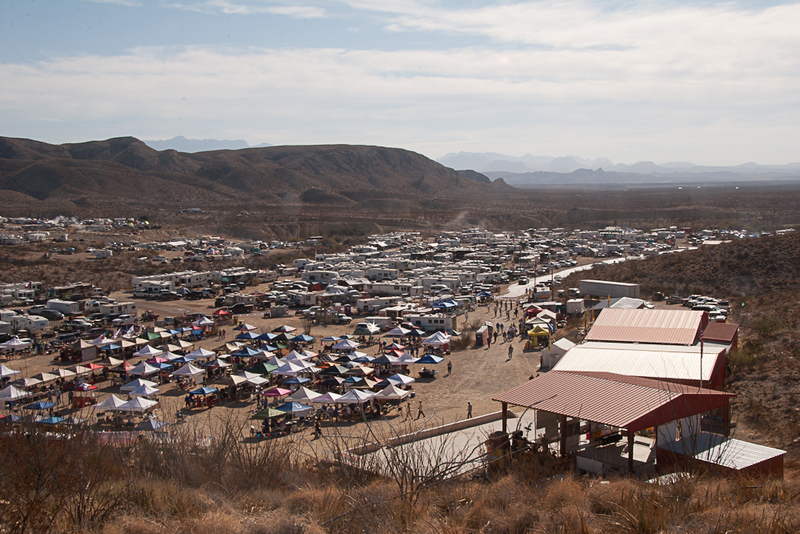 These are folks who are waiting for the annual Terlingua International Chili Championship. 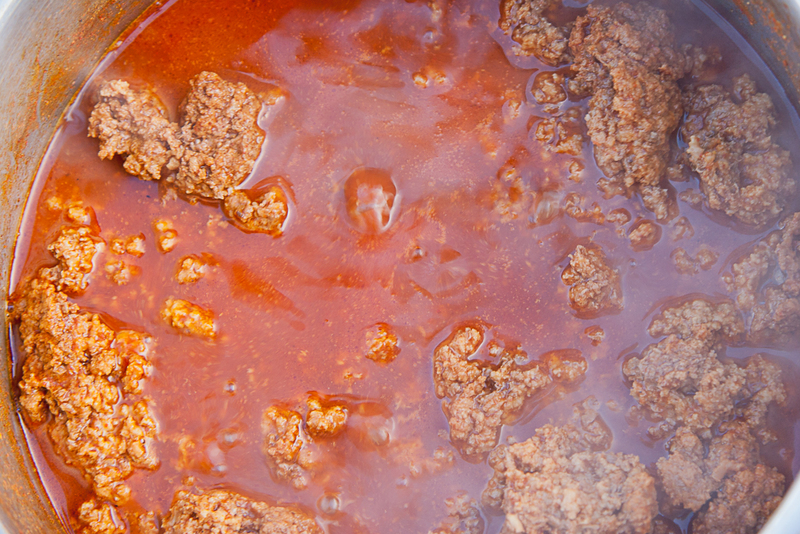 The cook off began in 1967 with some of the legends of chili cooking. Unfortunately as often happens in nascent organizations, there was a falling out with the division into two competing organizations, the Chili Appreciation Society Internationa (CASI) and the International Chili Society (ICS). For a time, the two organizations held competing contests just a short distance from one another – and in fact ICS continues to have a cook off “behind the store” where the original contests were held. But ICS branched out across the country and then began to have what it billed as the “World Championships” in California and other places. This year’s event was held in Manchester, New Hampshire. 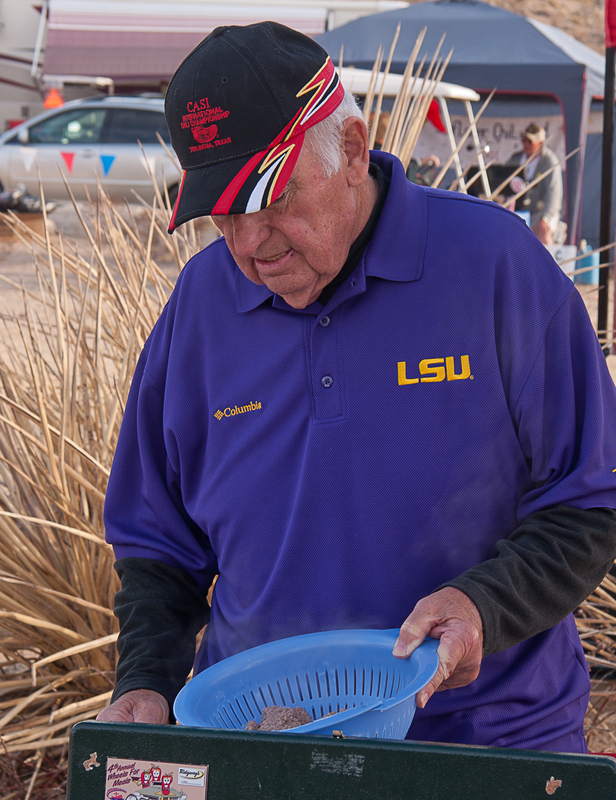 Still, the CASI event continues to be the granddaddy of cook offs and remains true to its roots in Terlingua, a nearby semi-ghost mining town. Susan and I attended the CASI cook off to see our old friend, Reggie Graves, who has returned to competitive chili cooking after a break of several years. Reggie is known by everyone at the contest because of his friendly spirit and because he cooks up a mean pot of chili. Everyone there seemed glad to have him back. This year marked the 45th cook off, and although most of the competitors are from Texas, many come from all over the United States and even other countries. This is truly the big-time, because cooks must qualify by winning enough points awarded in sanctioned local and regional contests throughout the year. There are hundreds of RVs and tents set up in little villages across the desert for days before the contests start. Everyone seems to be having a good time, and there is plenty of beer to go around. Lots of crazy hats and a few outrageous costumes. In the area known as Krazy Flats you may even see a fair bit of skin. Of course, the big event is the chili cook off on Saturday, but lots of other cooking contests are held earlier in the week: salsa, beans, wings, barbecue, and desserts among them. Chili is a truly American dish (some say a truly Texas dish), and nearly everyone has his or her favorite recipe. More than that, nearly every home chili cook believes that his or hers is the best chili on the planet. Firehouse cooks achieve their fame with their chili, and grandmas make their chili for special family occasions. Some recipes call for tomatoes. Some recipes call for beans. Some recipes call for fresh hot peppers. About the only things that most chilis have are meat and chili powder. Competition chili is different. More than one person has declared that competition chili is not intended to be the evening meal. Its purpose is to highlight the skills of the cook to use the essential ingredients, meat and chili powder, better than anyone else. One thing is certain: you will never find beans or tomatoes in competition chili. You will also not find chopped onions or minced garlic. One explanation for this is that the judging is supposed to be strictly anonymous, and if a bit of onion or a garlic clove should turn up in the competition cup, it might signal the identity of the cook. Chili almost ready for "turn-in"
Competition chili recipes adhere to a common ritual with five basic steps: (1) preparation of the meat, (2) cooking and preliminary seasoning of the meat, (3) addition of chili powder, pepper, and other seasonings, sometimes called “the first dump”, (4) addition of fresh chili powder and other seasonings shortly before serving the chili, sometimes called “the second dump”, and (5) preparing and filling the styrofoam cup to be turned in to the judges. 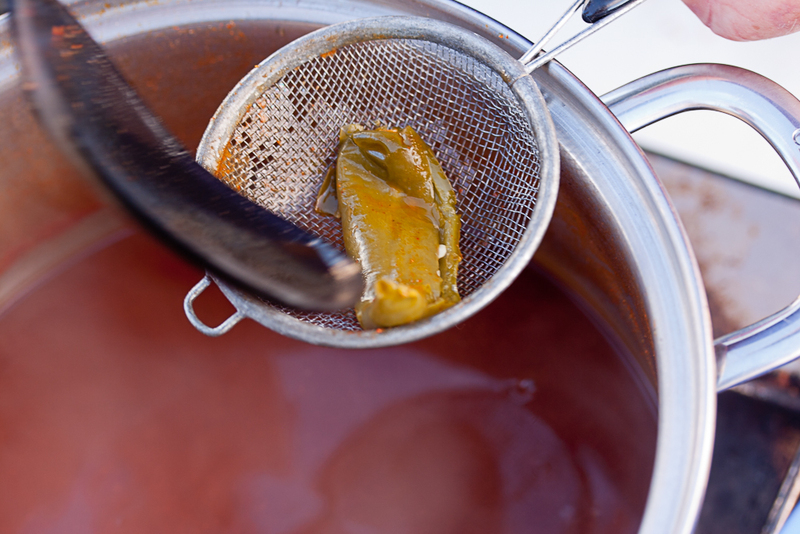 Of course, competitive chili cooks all have their own secrets for every step in the process. And fashions come and go. For example, years ago, winning was impossible without using carefully cubed chuck roast; now nearly everyone uses coarse ground beef. Some cooks use packets of ketchup from their favorite fast-food restaurant. 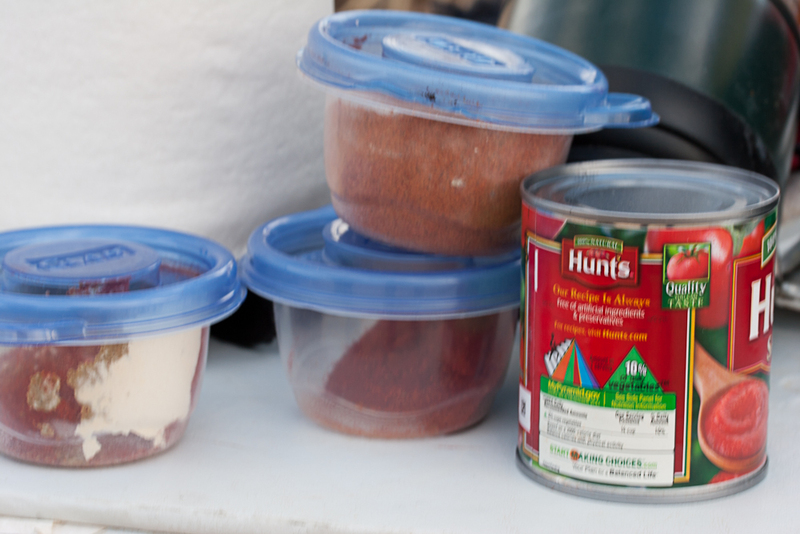 Everyone has his or her favorite mix or mixes of chili powder. Some folks even throw in a little grape jelly! Who knows what other secrets are out there? Speaking of chili powder, the stuff that competition cooks use is different from the ground chiles (note the spelling difference) used in Mexican and New Mexican cooking. Chili powder comes pre-mixed with different combinations of ground chiles, garlic powder, ground cumin, ground oregano, other ingredients, and usually silicates to keep it from lumping. There are also light and dark versions depending upon the chiles used and the degree of roasting. Most cooks buy their spices from a couple of spice merchants in the Fort Worth area and/or use bottled powders from Mexene, one of the sponsors of the event. Reggie preparing his "turn-in cup"
The recipe that follows is an amalgamation of those of several previous champions, including Jerry Hunt of Shreveport, LA, the 1990 champ. No secrets are included, and don’t expect to win even a local contest with this recipe, but it will give you a starting place if you want to become a competitive chili cook. 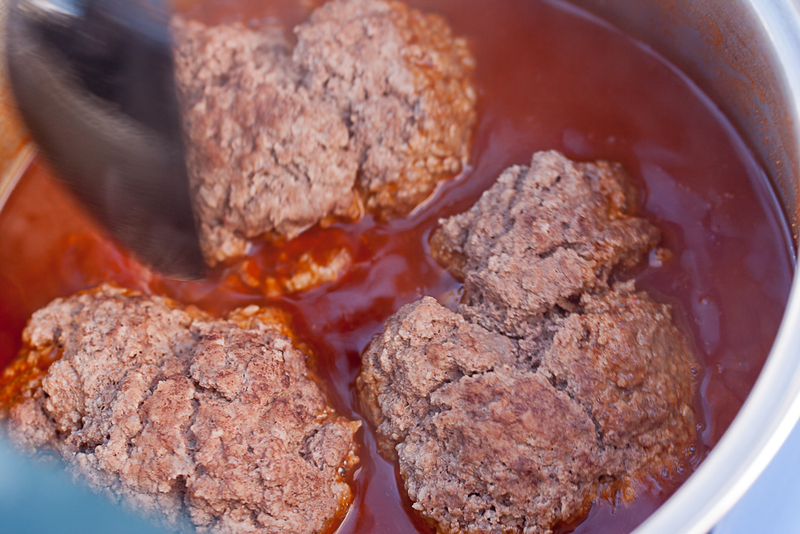 When the meat has browned, add the tomato sauce and beef broth. Stir to combine and cook for 30 minutes. (First Dump) Combine 1 Tablespoon of light chili powder, 2 Tablespoons of dark chili powder, garlic powder, salt, ½ Tablespoons ground cumin, red pepper, black pepper, and chicken granules. Add the mix to the meat, stir to combine, and cook at a simmer for 1 hour. (Second Dump) Combine 1 Tablespoon of light chili powder, 1 Tablespoon of dark chili powder, paprika, ½ Tablespoon cumin, brown sugar, and Sazón Goya. Add the mix to the pot, stir well to combine and cook at a simmer, covered for 30 minutes. Add water and salt if needed. While the chili is cooking, prepare the “turn-in cup” by coating the inside with a little of the chili. Discard or taste the extra. 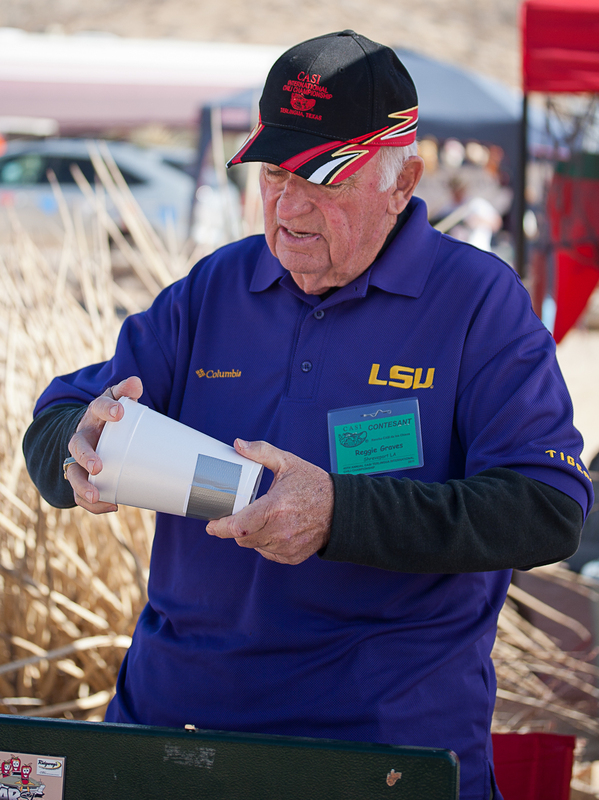 Transfer some of the finished chili to the prepared “turn-in cup” and make your way to the judging stand.